Farriers have to be some of the toughest guys I know. I have always admired their work and often been tempted (when frustrated at my day job) to pick up a hammer, file, and knife, and try my hand at shoeing. I wouldn’t last a day. But the ability to pick up a foot, trim it down, and fit a shoe is on my bucket list. I am fascinated by the way a shoer can shape and fit steel with pressure applied between a hammer and an anvil. The shoe is forged and hardened, shaped and leveled for the purpose of protecting and supporting something unimaginably larger than itself. One pound supporting 1300, forged and pounded to fit, support, and strengthen. In the last few posts I have been trying to figure out what made the Macedonian Church worth bragging about. The churches that we know about in the region of Macedon were places of substantial persecution, and know one knew persecution like Paul. His list in 2 Corinthians 11 is pretty impressive. Its important at this point to note Paul’s first time in chains in prison came in Philippi (Acts 16.23). He had come because of an invitation to help the churches in Macedon delivered by a man in a vision (Acts 16.6-10). Upon arriving in the leading city of the district (Acts 16.12), Paul found immediate success in ministry. Lydia, a prominant business woman from Thyatira, came to faith soon after their arrival (Acts 16.13-15). Then Paul messed with someone’s businesz. After healing a slave girl of a spirit, taking away her masters way of making money, a riot ensued. The leaders of the colony had Paul and Silas beaten and thrown in prison (Acts 16.23). After their miraculous escape there they moved on to Thessalonica where they were saved from a mob set on hurting them by escaping under the cover of darkness (Acts 17.1-9). They were followed to Berea by some of those rabble rousers from Thessalonica but the Bereans were still of good character. The church in Macedonia didn’t have it very easy. They faced sever persecution from the outside and laziness (both theologically and practically) on the inside. Suffering just as those believers in Judea, the members of the church of Macedonia faced persecution at the hands of their own countrymen (1 Thes. 2.14). It was difficult to be a Christian in Macedonia and the danger didn’t stop on sunday morning, The danger of laziness theologically faced them from inside the church. Paul reminds them to stand firm and hold onto the teachings that Paul, Silas and Timothy had given them (2 Thes. 12.15). It wasn’t just their teachings but their lives that showed truth that was being challenged (1 Thes. 2.8). The Church was forgetting this example in their teachings and in their lives. Laziness had crept into the church. So what was Paul’s advice to a persecuted church? What was he praising them for so far? In a word: Endure. He reminds them that, just because he was persecuted in his first trip there, it couldn’t be considered a failure (1 Thes. 2.1-2). In the same way, the church must endure. When beatings and floggings, and even death arises, endure. When the church becomes lazy, undirected, and faces false teaching, endure. When the people of the church aren’t acting like the body of Christ, pulling their own weight, endure. Stand firm Church in all things and serve God. The church of Macedonia was being pounded, shaped, hardend by the persecution in the region. In the same way a farrier molds and beats a shoe into a shape to be used and to support, the Macedonian Church was serving their purpose through the process of being forged in their faith. That is what Paul was bragging about. Getting the attention of middle school students is a common fight, but I didn’t think I would have trouble getting the attention of a horse. A few years back, I was starting a colt for an older gentlemen. He told me that this horse was hard headed, but most of my interactions with it had gone real well. 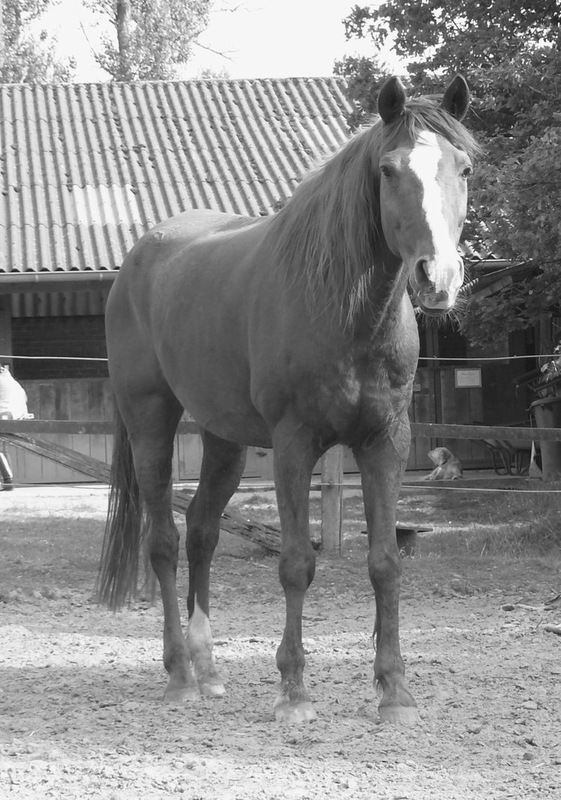 I stepped into the round pen one day expecting to continue with the training as planned. I began by running him around the round pen, first to the right and then the left. After 15 minutes of keeping the horse moving, I stepped back, taking the pressure off the horse. I caught his eye as he turned and faced me. He stood, 20 feet from me, collected, attentive, and ready. The second his gaze broke from me, I sent him to the right again. After repeating this story for another 40 minutes, my patience had been tested to its end. I stepped back in exhaustion, and sent the horse around the pen one last time. This time the second I took the pressure off, he turned and faced. And for the first time, for just a couple seconds, he waited for my command. I took a step towards him and he lowered his head, but kept his eye on me. What I was looking for out of that horse was a connection. I wanted him to be ready for whatever I asked him to do. When his face turned toward me, his eyes connected with mine, I knew that he was present and ready to work. Last post was about the hand of the Lord. The hand was the power of God in action. When the OT writers conveyed God’s power, they could say “power” or “his hand” and it would mean the same thing. The face of Yaweh then is about His presence with His people. After the “hand of Yahweh” had delivered Israel from Egypt (Ex. 13), the face of the Lord was Presence with his people. The “Face of the Lord” [hb. paneh] is a picture of his intimacy, relationship, and presence with his people. Moses spoke to Yahweh, the Lord, “face to face” [paneh] at the Tent of meeting, as the Israelites were camped after leaving Egypt (Ex. 33.11). It was in the same way that you or I would talk to a friend, just two buddies hanging out. God’s Presence was there. Then 3 verses later, after Moses had asked the Lord who would go with him, Yahweh replied, “My Presence [paneh] will go with you, and I will give you rest.” (Exodus 33.14) The same word translated “face” in verse 11 was translated “presence” in verse 14. The face of the Lord was the presence of God with His people. Nearly a year later, his presence would need to be remembered and celebrated. The book of Numbers isn’t a really exciting or positive book. The book starts at Sinai and ends on the plains of Moab, just across the river from their final destination. The problem lies in how they arrived there. It has been a struggle for Israel as they traveled, a struggle documented in the book of Numbers. The journey from Egypt to Canaan, was plagued with complaints, 9 times the nation of Israel Complained to God on the trip. “We’re hungry? We’re thirsty? Someone’s touching me?” you remember car trips with your kids…This was their journey. On top of complaints, people were killed on the journey. The ground split open under Korah and his sons for their sins (Num. 16.31) and fire consumed the 250 who were offering incense (Num 16.34). Their punishment also came in response to a negative report on the land of Canaan. When the spies returned they scared the people with a report of impenetrable walls and giants. When God heard his people grumbling about the land, He answered by declaring that this generation would fall in the desert in a 40-year wandering (Num. 14.26-35). Just before these events would happen, God wanted his people to know something very important. Camped in the desert of Sinai, the Lord said to Moses: “Tell Aaron and his sons, ‘This is how you are to bless the Israelites. Say to them: ‘The Lord bless you and keep you; the Lord make his face [paneh] shine upon you and be gracious to you; the Lord turned his face [paneh] toward you and give you peace.” This is actually, the oldest piece of Biblical text that archaeology has uncovered (The Silver Scrolls and Numbers 6). Dating to the seventh century B.C.E. and written on a silver amulet in paleo-hebrew script, is the text of Numbers 6.24-25. This shows that these verses were at the forefront of the Jewish mindset. The Hebrews, based on this verse understood that life is to be lived gazing upon and acting before the face of the Lord and living in his presence. God is telling his people that during this journey to Canaan, that a blessed life is one that God face is before. The blessing, to be given to all the Israelites, is to remind them of God’s presence with them. The presence that was shown in the quail and manna (Num 11); the shoes and clothes on their journey (Deut 8.4-5); the pillar of fire and cloud above the tabernacle (Ex. 40.36-38); a simple reminder that the Face of the Lord shone upon the nation of people. When the face of the Lord was there, communication was possible, action was possible, and comfort was given. In the book of Matthew, Jesus arrives on the scene as Immanuel, “God is with us” (Matthew 1.23); a gift to Earth of the Lord’s presence. When Peter and the disciples see Jesus walking on the water and call out to him, Jesus responds, “Take courage! I am. Don’t be afraid.” (Matthew 14.27); a reminder of His presence in the midst of the storm. The book ends with Jesus’ Great commission, “and surly I am with you always to the very end of the age.” (Matthew 28.20); a reminder of his presence forever. In each case, the face of the Lord turned to His people. In a tangible picture of God’s words in Numbers, the “face of the Lord” shinned upon us! The blessing of Numbers 6, was central to Israelites throughout their history. A reminder that God’s presence was vital to their survival. How vital is the “face of the Lord” to us today? How often do we go one with life, without a second thought to His presence? In what ways does he communicate with us that he is present? Where will you see his “face” today? 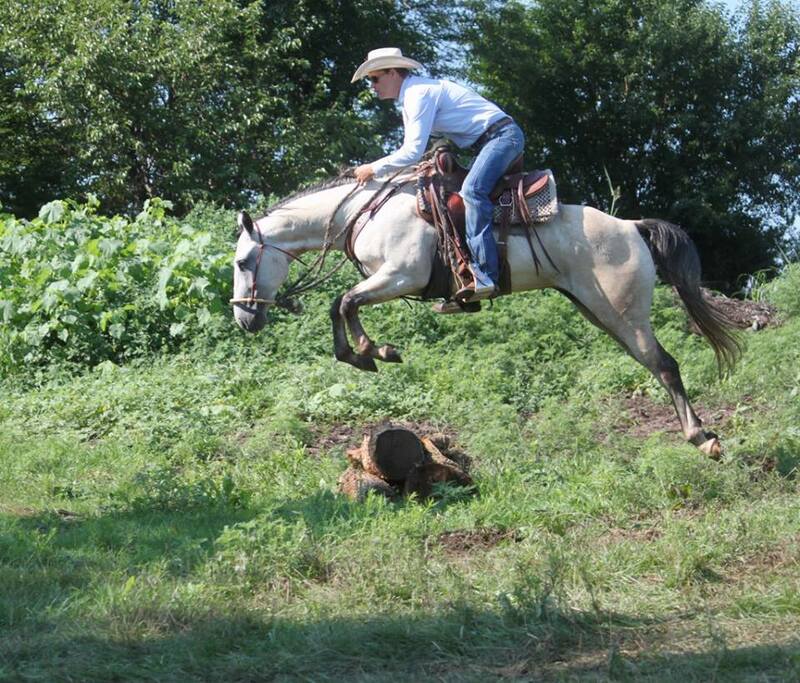 A good cowboy on a good horse is incredible to watch. 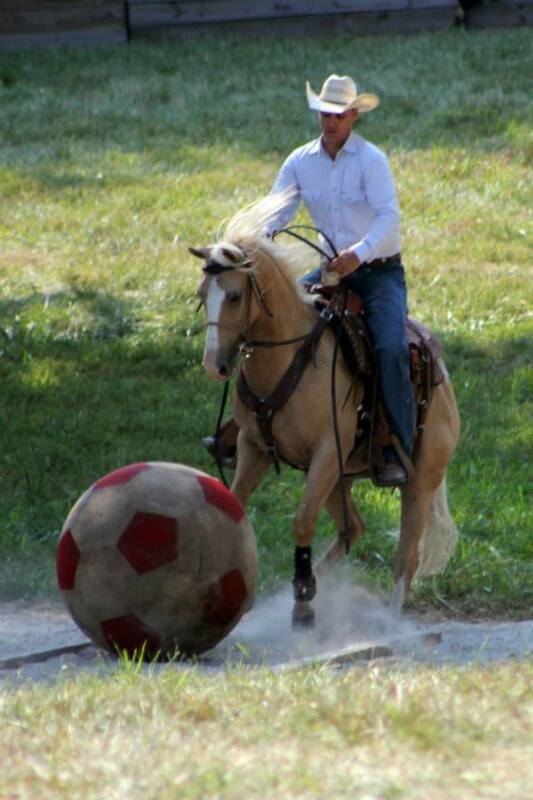 This partnership between cowboy an horse happens at every Extreme Cowboy Race. When I turned 30 this year and realized that I couldn’t fight bulls forever, I began a search for an event to be a part of, that will fill in the gap between fighting bulls and socially acceptable 6:30 a.m. Tee-times at the golf course and long hours at the doughnut shop when I turn 65. 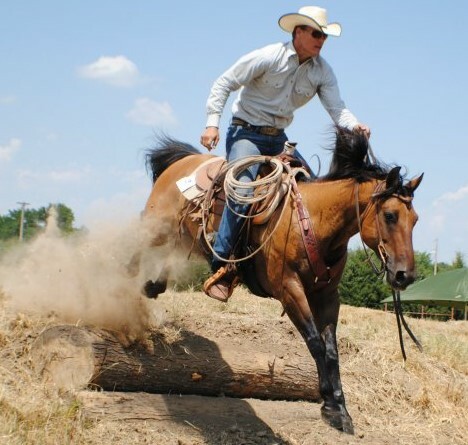 Essentially a timed obstacle course on horseback, extreme cowboy racing challenges the horse and rider to accomplish a certain number of tasks as quickly and efficiently as possible. Josh Rushing (pictured here) is a former Extreme Cowboy Racing World Champion in 2010, and he has shown me an awful lot about the sport and what it takes to win. He solved our sin problem. When man sinned and ate the forbidden fruit in Genesis 3, God was quick to enact a redemption plan. “And I will put enmity between you and the woman, and between your offspring and hers; he will crush your head, and you will strike his heel.” (Genesis 3.15) This verse is God starting the task of redeeming man, of restoring the relationship that was broken just a few verses before. For the next couple thousand years, God would be orchestrating and solving this issue of our separation from God because of our sin. Reading the Old Testament is watching the Great Problem Solver in action, prophesying thorough men, working in familial lines with the whole purpose being to bring Jesus onto the scene to die for our sins. God’s answer to our sin problem was the life, death, and resurrection of Jesus. God, the great problem solver, provided the solution in Jesus. He solved our Ignorance problem. Romans 1.18-20 makes the case that God can be found through general revelation. General revelation is God’s working in the world and His fingerprints on the world. Looking at the stars, seeing a sunrise, the design in the structure of a horse, or smile of a newborn, these are all natural things that Paul says point to God’s existence. Jesus, the one who saves us, can only be learned about through special revelation. Special revelation is the words that God has spoken to us, the words of scripture. Genesis 5.1 is the first mention of a written document in the Bible. Moses writes down the law that he is given on Mt. Sinai. (Exodus 24.4) Jeremiah dictates his prophecies to Baruch. (Jer. 45.1) Luke writes his Gospel for Theophilus (1.1-4) and Peter mentions Paul’s letters as Scripture (2 Peter 3.14-17). God has spoken to us (Heb. 1.1-4; 2 Tim. 3.16) to communicate His love to us, as shown through Jesus Christ, in order to solve our ignorance problem. He solved our Isolation problem. It was no coincidence that the first thing Adam did when questioned by God about his sin was to throw Even under the bus. “The WOMAN, that YOU, put here with me—she gave me some to eat.” (Gen. 3.12) Sin isolates us from one another. Often times if I had it my way, I want to be left alone, but for the good of my spiritual life and my relationship with God, I need people around me. God’s solution was the Church. Simply defined, a church is a group of people devoted to worshiping and loving God and living out their lives in honor to Him. How that looks may be very different depending on the group of people. Some Cowboy churches wear boots and hats to worship in a barn, other churchgoers wear three-piece suits listening to a choir till 2 in the afternoon. Some meet on Tuesday nights in a barn, others in an arena before a weekend rodeo. Others meet in a building that is 100’s of years old, some in a Morton building, but regardless of how, when, or where they meet, God has provided the answer to our isolation problem in these local congregations. He solved our leadership problems. Jesus promised that God would give His Counselor, the Holy Spirit to the disciples once he is gone. (John 14.16-17) We too have been given the Holy Spirit, to live inside of us, to convict us of wrong doing (John 15.8), to guide us into the truth (John 15.13), and to help us bring glory to God through his work in Jesus. We needed “God with us”, Jesus to come and take away our sins, and now we have “God in us” to renew us, challenge us, grow us, and lead us. The Holy Spirit was sent to animate our lives, to speak in our lives, and to show us God’s power in our lives. We needed a leader; God provided the solution by sending His Spirit to dwell in us. In the same way a great horseman can solve the problems with his horse, God has solved our issues in his own creative, active, and partnering way. It was never God’s plan, to go it alone. In every step of the way, God partnered with us to solve our problems. He sent us His son asking us to believe, He spoke to us His word asking us to write it down, He gave us churches asking us to love one another, and He gave us His Spirit asking us to obey. God truly is the Great Problem Solver.